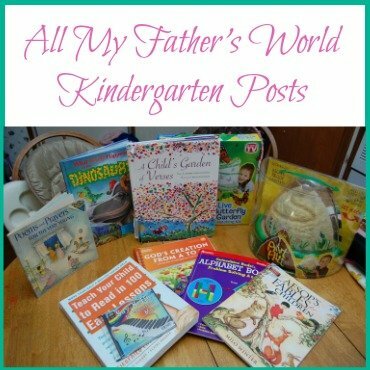 Now that we are finished with My Father’s World Kindergarten, I figured it was time to do a quick My Father’s World Kindergarten review! I decided to make a quick video just talking about the pros and cons of My Father’s World and actually showing you a couple of things that I added to it. If for some reason you can’t see the video or you’d rather not watch, I will go ahead and write it all out for you! So, let me jump in with the cons first. I felt like there was not enough math, for sure. To be fair, MFW does suggest adding a math workbook about halfway through the curriculum. We added Singapore Essentials Kindergarten Math B. My son loves math, so adding that was a good call. I felt like there was not enough handwriting practice. I remedied this by getting a kindergarten handwriting tablet from the Dollar Tree and having him practice writing his name, our address, the date, etc. As we transition from kindergarten to first grade, I am having him do A Reason for Handwriting. Finally, my son is still not reading CVC words with ease. He has trouble blending sounds. I can’t blame it all on MFW, it could just be a developmental thing. Regardless, I still feel like he is not quite ready to start first grade, so we are using Explode the Code and I’m hoping it starts to click with him soon. The biblical concepts are so sweet and perfect for this age. 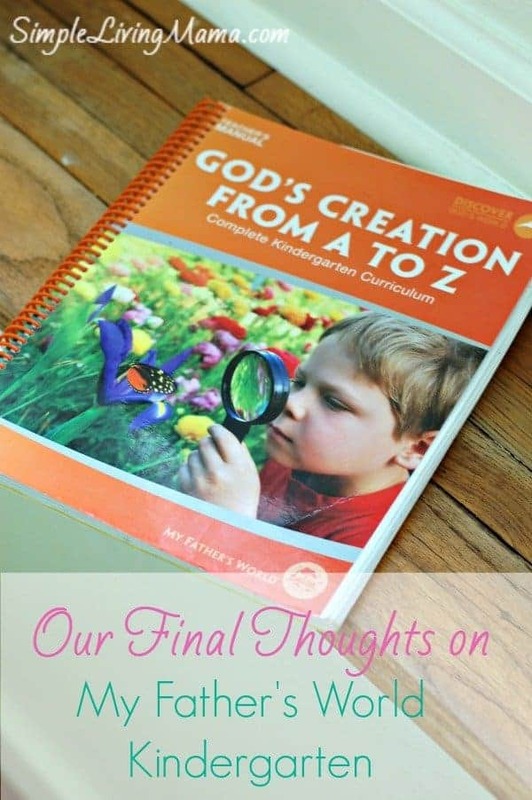 I loved teaching my children about God’s creation! I love the open and go approach. 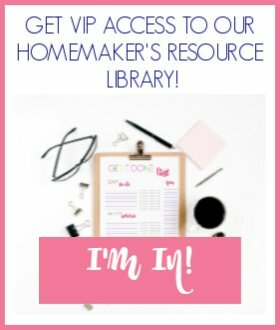 As a new homeschool mom, having a teacher’s manual that told me exactly what to do was so helpful! Even though I complained about a few things I felt were too light, I do agree with a a gently approach. When my son was 4.5 this curriculum was great as is, but definitely as we progressed very slowly through the curriculum and he turned 6, I felt I needed to add some things. I enjoyed the addition of classical music and the suggestion for book time activities. We didn’t always get to those things, but they were great to have available if we could do them. 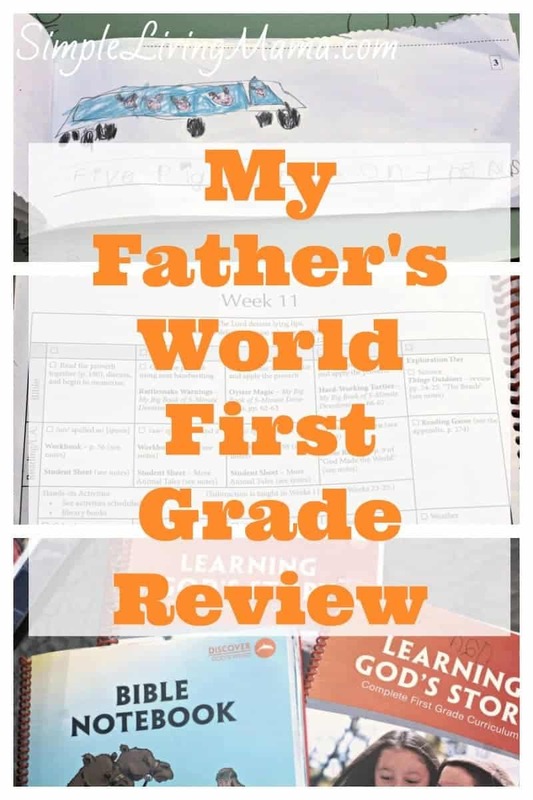 I can’t say enough good things about this curriculum and I am so glad I decided to purchase it when I was debating on starting this homeschool journey. We are sticking with MFW for first grade. You can see what we got in our box! I plan to start first grade in August. If you have any questions, let me know. 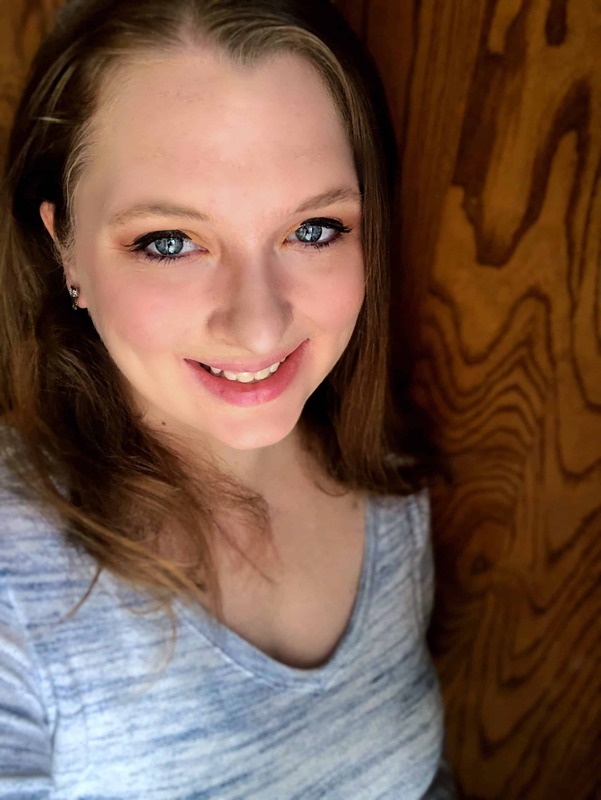 I’d be happy to help where I can!